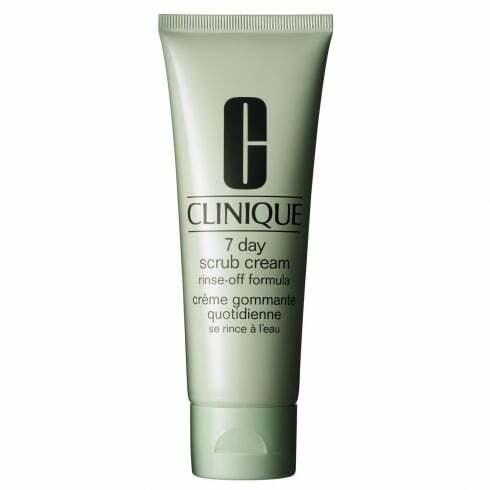 Experience the refining benefits of Clinique's 7 Day Scrub Cream Rinse-Off Formula, a cream based exfoliator that works to brighten the complexion. Fortified with fine grains to create a gentle scrub, the exfoliator helps control oil-related problems and effectively sloughs away dead skin cells, polishing the skin to decongest pores and diminish the appearance of fine lines. Skin feels refined and soft with no residue, and its perfectly prepped to absorb your favourite moisturiser.